Plus: The impact of Boeing's crisis on travel websites. 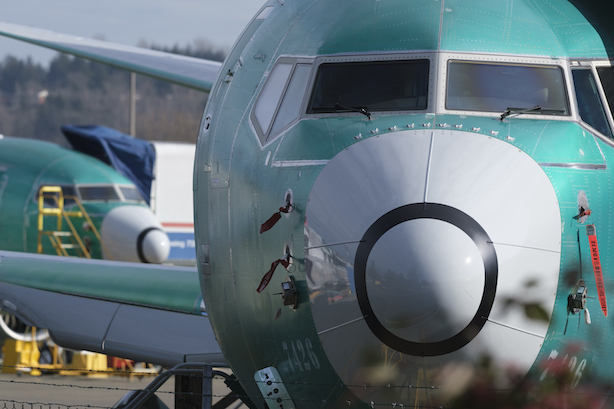 The Federal Aviation Administration is facing a lot of questions on Wednesday morning after refusing to ground the Boeing 737 Max, leaving the U.S. as one of the few markets allowing the aircraft to fly after the crash of an Ethiopian Airlines jet on Sunday. The head of one airline workers’ union called the FAA’s decision "absolutely absurd." Lawmakers from Sen. Ted Cruz (R-TX) to Sen. Elizabeth Warren (D-MA) have called for the FAA to temporarily ground the planes. On Tuesday, Boeing’s CEO reportedly called President Donald Trump to reassure him of the plane’s safety, a day before Trump took a turn as an aviation expert on Twitter. Bonus read: How the FAA decides to ground a jet, via Wired. The Boeing-FAA crisis is also creating implications for travel websites, which have adjusted by creating booking options so travelers can avoid the 737 Max. Kayak.com is altering its search filters to allow users to exclude specific types of aircraft, according to Reuters. Gideon Spanier from PRWeek’s sister magazine Campaign has gone in-depth on CEO Mark Read’s quest to turn around the fortunes of WPP nearly one year after Martin Sorrell resigned as CEO. Read has warned of a decline in net sales this year of between 1.5% and 2%. The Mueller report is not yet public, and may never be, and while it’s anyone’s guess how President Trump will react to it on Twitter, the Kremlin is already showing its hand. Russian government officials are on a (state-run) media blitz to also denounce the probe as a witch hunt. Finally, are you a music superstar? Or a movie star? Or both? Well if you are, and there are tabloid rumors that you’re pregnant, here’s how to handle them on social media and get a plug in for your upcoming album, courtesy of Lady Gaga.